Search engine optimization (SEO) generally falls in one of two categories. On one side you have the optimization of on-site content (meta-tags, keywords, etc. ), which is essentially architecting content so that it’s readable and well-received by search engines. The other side is about going outside your site to encourage other sites (blogs, media sites, directories) to point back to you. This part is where link building comes into play, the process of acquiring backlinks from other websites in an effort to make your site more accessible by search engines. Link building is a straightforward process. Search engines crawl through web pages and index content on those pages, and the way they navigate between those pages is through links. In this way, search engines can not only evaluate the quality of a site based on relevant on-page content, but also assess a site’s quality by looking at the number of links pointing to it from external websites, and by gauging the quality of those sites. Thus, both the volume and quality of the websites referring back to your website will allow a search engine to determine your site’s quality. It then uses this information to determine your appropriate search engine results page (SERP) ranking. Generally speaking, the more high-quality websites that link back to you, the more likely your website will rank well in search results. Seen through this lens, backlinks can be seen as votes of confidence regarding the quality of a site and its content. When someone links to your site, they are essentially telling a search engine it is a good resource, otherwise they would not link to it. The purpose of link building, then, is to establish credibility by garnering links from authority sites specific to your business niche and, as a result, rank higher in search engine rankings. For this reason, creating quality backlinks is considered one the most effective ways to increase organic traffic to a website. There are three main categories of links that need to be present on a well-optimised site: internal links, external links, and backlinks. Internal links are links from your website that go to other pages within your site. External links are links from your website that direct users to different websites with valuable and quality content upon clicking. 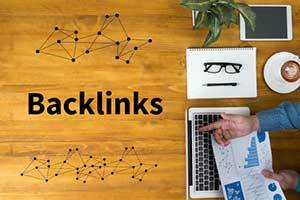 Backlinks, in contrast, are links from other websites that link directly to your website. Internal and external links are a relatively easy to incorporate, as they merely require you to produce quality content worth linking to as well as find engaging content worth sharing in your posts. Backlinking, on the other hand, is where many businesses struggle. The good news is that backlinking is essentially the digital equivalent of networking. You go to a networking event to make contacts, you meet a few people, and you get their contact information. 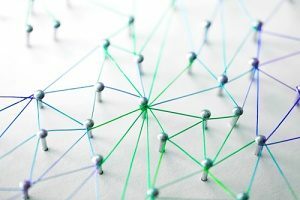 Backlinking is essentially one more step in the process: getting the people you’ve met to tell their network about you. By earning their trust and enticing them to link to your content on their site, it will tell Google that your website content is valuable, thus simultaneously increasing your domain authority and website traffic. The most straightforward method for link building is producing quality content that gets shared. By creating content that encourages website owners to direct some of their traffic to your site, you’ll get a valuable backlink that allows even more readers to view your content. You can take this one step further by guest posting, arranging to publish your content on a trusted and authoritative site in your field. A similar practice adopted by many organizations involves offering a ‘link exchange.’ This means you publish content for your site and mention another brand in it to provide a link to their website. The receiving organization then agrees to do the same and you both receive a backlink. 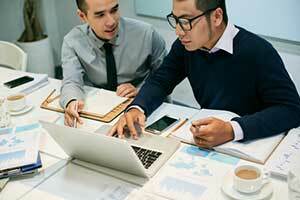 It’s a win-win, as both companies improve their ranking and traffic with minimal effort. Proactive outreach, whether it be digital or physical, is another effective backlinking strategy. Obviously, the more engagement you have with your followers on social media, the more likely they will share your content and add to your portfolio of links. In addition, by looking for opportunities to network with people in your industry, you’ll encourage the kinds of relationships that facilitate content sharing among your network of followers. There are numerous link building tactics you can use to encourage people to link back to your content and thus improve your rankings in the SERPs. Our hope is that you’ve learned a few to help you get started. While incorporating all link building methods would take hours of research and application, an established digital marketing agency can do all of the hard work for you, boosting your search engine rankings with little to no effort on your part. Contact one today.